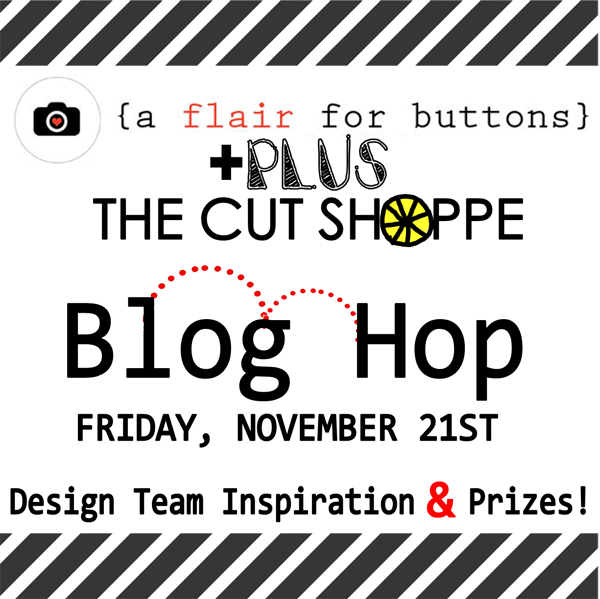 It's time to share a new layout for A Flair for Buttons! For this layout, I used some of my favorite Flair images...OWLS!! Love them!! I wanted to use the fun What a HOOT Flair Set, but for a different theme, rather than Fall. 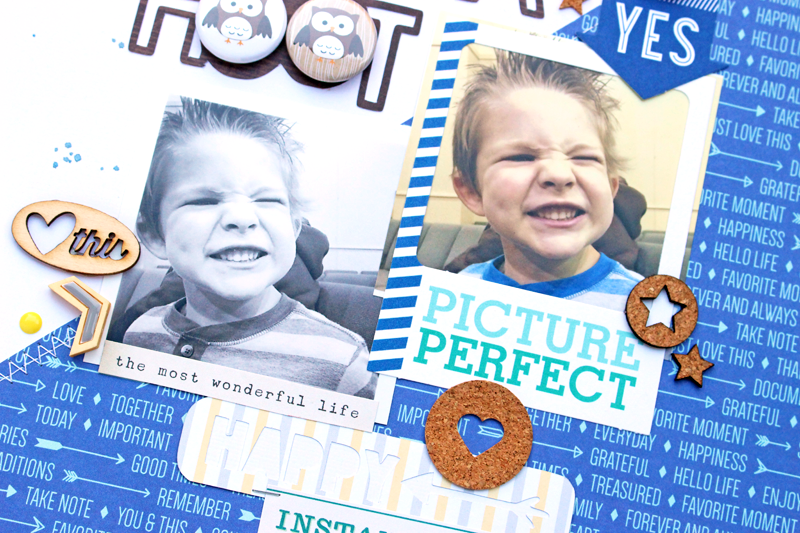 So I decided to use a funny photo of our son, and use two of the Owl buttons from the set, in my title along with the Smile Flair Button from the Wood Words Flair set! 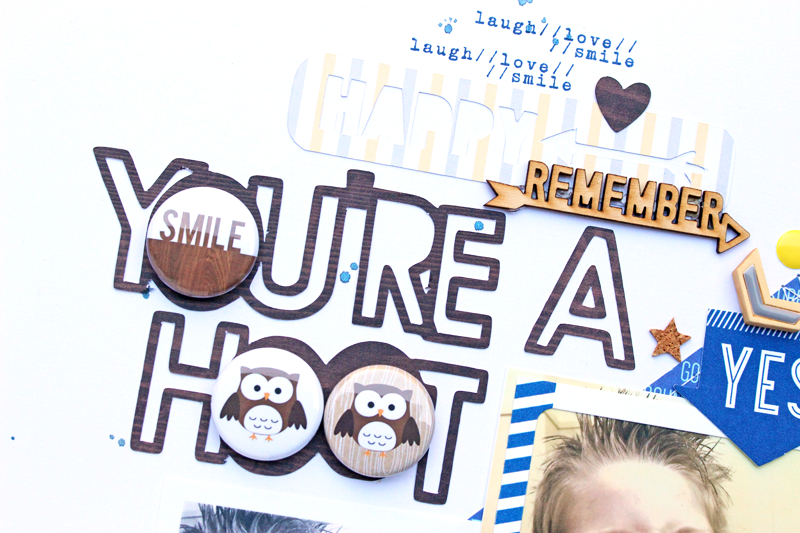 I cut my title "You're a Hoot" from the November Notions cut file set from The Cut Shoppe. I knew the Flair Buttons would be perfect as the "O's" in my title. 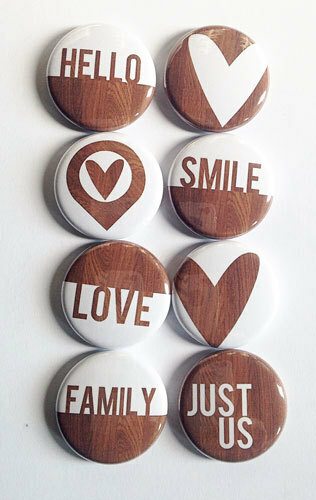 And I kept the title and Flair Buttons on the White side of my diagonal design, so they would stand out! The Smile Flair Button fit right in also, because of the huge grin on our son's face! It's fun to think outside the box and find ways to use your themed Flair sets, for a layout or project that may not fit that theme! 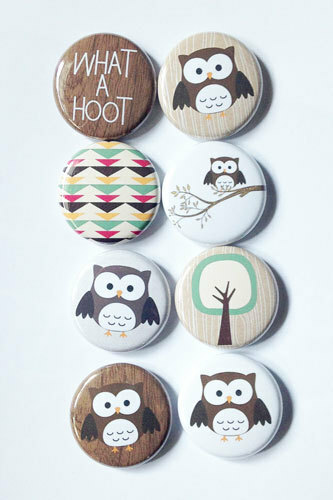 And if you "need" these fun owl Flair Buttons make sure you stop by the A Flair For Buttons Etsy Shop, and you'll also find the Wood Words Flair Set, while you're there! And if you haven't had a chance yet, to check out the Blog Hop with A Flair for Buttons and The Cut Shoppe, there is still time! 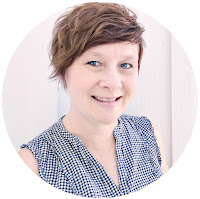 Comments are open on both Blogs until Wednesday, November 26th, for the custom Flair set and Gift Certificate giveaways! And both shops have Coupon Codes through Friday, November 28th. 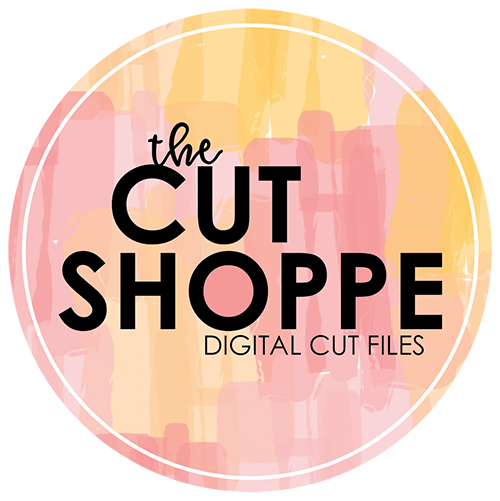 Use the Code SAVE25 for The Cut Shoppe, to save 25% off of your order! No minimum purchase required! !